IDF dedicates two more Tilak Bal Gurukuls on the 90th anniversary of Lokmanya Bal Gangadhar Tilak (23/07/1856- 01/08/1920) in Maharashtra. Indian Development Foundation feels proud to announce the opening of two more Bal Gurukuls dedicated to the underprivileged children in the districts like Nandurbar and Nanded. IDF Bal Gurukuls will cater to the children in the remote rural areas. With these two Bal Gurukuls, IDF reaches 24 Bal Gurukuls in India catering to over 2000 students. Hind Kusht Nivaran Sangh(Maharashtra Branch) partners with IDF to monitor the Gurukul activities in rural Maharashtra. Where stars shine all day !!! Children from Vimala Centre, Versova, Yari Road, Andheri (W), Mumbai visited Nehru Planetarium on 29-07-2010 as part of IDF's iDiscover 2010 programme. The children were awestruck to see stars and planets. It was really worth making a journey in the universe and we are now left to think and rediscover the universe, said Vimala Centre kids with a smile. The children felt very happy as they explored various discoveries in the space. The Sisters from Vimala Centre expressed thanks to IDF team for inculcating scientific temper among young minds and organising such a wonderful innovative programme. Vivek College NSS volunteers helped in co-ordinating the event. GMES School to "Awesome Universe"
Students from Greater Mumbai Education Society's High School and Jr. College, Vile Parle (E), Mumbai, participated in IDF's iDiscover 2010 project. The young minds were left to think on the space and they were amazed to see the `Awesome Universe'. Click link to see which all schools participated in iDiscover 2010. Even though India achieved the goal of elimination (i.e. 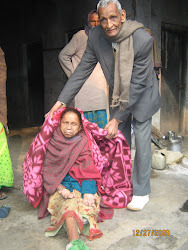 point prevalence rate of less than 1 case per 10,000 population) of leprosy as a public health problem at national level in December 2005, higher prevalence of leprosy is reported in some areas. 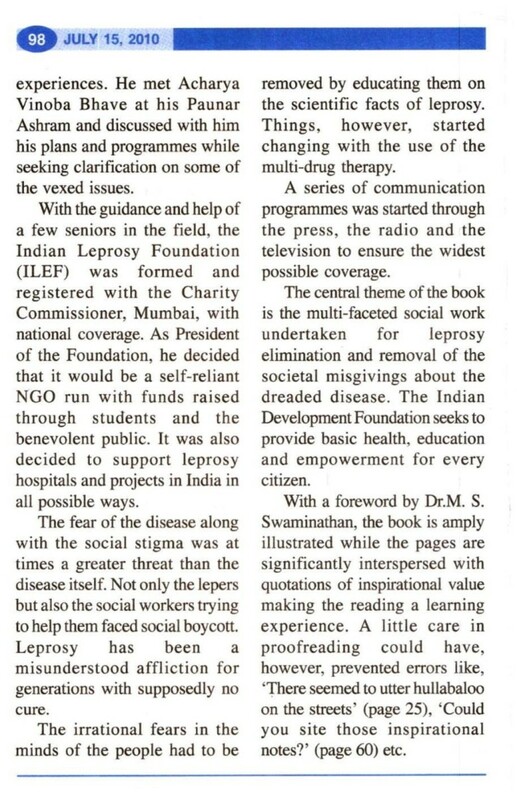 Therefore, new cases of leprosy occur due to long incubation period of disease and relatively higher prevalence of leprosy in certain areas of the country. However, new leprosy cases are showing a declining trend i.e. from 1.61 lakh cases in 2005-06 to 1.34 in 2009-10. Mr. Ramachandran D., Principal and Mrs. Sudha Ramachandran, Vice-Principal of Holy Infant High School, Charkop, Kandivali (W), Mumbai received a copy of Hope on the Horizon from Dr. Pillai (28/07/2010). 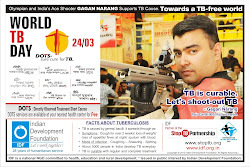 IDF team will be conducting health awareness programmes for the benefit of the students. Students will also take part in iDiscover 2010 project of IDF. Mrs. Rekha Sharma, Principal, Bharatiya Vidya Bhavan's Mehta Vidyalaya, New Delhi complimented the work of IDF in the areas of leprosy/ TB and education. Mr. Upendra Kaushik, OSD, Bharatiya Vidya Bhavan joins Dr. Narayan Iyer in presenting Hope on the Horizon. Dr. Narayan B. Iyer visited Bhavan's Sawan Public School, Bhatti Mines Road, New Delhi and addressed the students in the morning assembly on TB Awareness. Mr. S. C. Sharma, Principal, Mr. R. K. Tyagi, Vice Principal and Dean (AC) and Dr. Deepak Sanan, RMO from Bhavan's Sawan Public School presents school magazine to Dr.Narayan Iyer. Karnataka State Tuberculosis Association and Indian Development joined hands toorganize a TB awareness program at Chamrajpet Education Society’s Girls HighSchool, Bangalore. 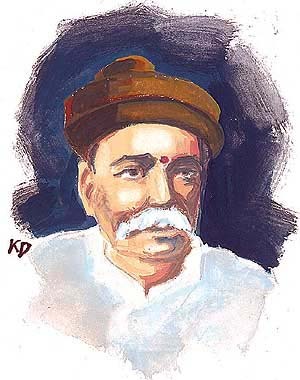 Dr. T. Prabhu, Hon. Treasurer, KSTBA & Ex-Principal of Bangalore MedicalCollege, was the Chief Guest for the function. Distributing certificates forall those students who had participated in the World TB Day 2010 EssayContest, he said student can play a vital role in controlling the killer disease andcalled for their involvement and support in spreading awareness to the public. Dr. Shashidhar Buggi said DOTS was quite effective in treating TB, sharing hisexperience as the Director of SDS TRC & Rajiv Gandhi Institute of Chest Diseases.Dr. S. Subramanyam. EX-President, Family Physician Association, Bangaloretalked on scientific information on Tuberculosis, stressing the need for complete andregular treatment. Dr. S. Franklin, Manager Southern Region, Indian DevelopmentFoundation, spoke on Students’ Role in TB Control. Mrs. Kanagavalli, Head Mistress, The Chamarajpet Education Society’s GirlsHigh School, Bangalore said that her school was resolved to join hands withthe government and non-government organizations towards the control of TB. The students were also enlightened about HIV-AIDS, Tuberculosis and Leprosythrough film shows. Ms. Nagarathna, Teacher welcomed. Mrs. Kanagavalli, the Headmistress, proposed vote of thanks. Mr. Ravindra Shenoy from Karnataka StateTB Association had made all the arrangements for the program in a fitting manner. 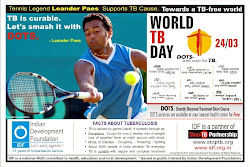 The Schoolteam activitely participated in the TB awareness campaign and resolved to fight against TB. 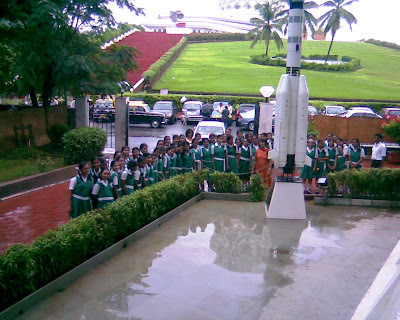 Mrs. Hemalatha Sawant, Principal and her team of students visited Nehru Planetarium on 24th July 2010 as part of IDF's iDiscover 2010 project. Students from Suvidyalaya High School, Vazira Naka, Borivali (W), Mumbai participating in iDiscover 2010 (17/07/2010). Here is the historic event of man landing on the moon, on July 16th 1969. It's hard to believe that this was 41 years ago. Students must know about it. IDF team comprising - Mr. R. Settu, Mr. Mano Ranjit Lad and Mr. F. Freddrick - reached Infant Jesus Convent School for Hearing Impaired at Thekku Palayam in Coimbatore on 21st July and distributed food items and materials of daily use. The children felt happy as they were felicitated. IDF team congratulated the efforts of the sisters in managing the school in an excellent manner. Rev. Sr. Viji and Rev. Sr. Jees Mary thanked IDF team for brining smiles on the children face. One could see happiness in the eyes of the young kids and the sound from their clap created sound in the silent valley. IDF honoured R. Pandian from the port city Tuticorin, S.V. Hindu Vidyalaya Higher Secondary School (HSS) who emerged State topper among students who studied Tamil as their first language, obtaining a total of 1,187 out of 1,200 in 2010 Std. XII examinations. IDF team comprising - Mr. R. Settu, Co-ordinator (TN & Pondy), IDF, Mr. S. Arumainayagam, Vol. Officer and Mr. S. Darwin, Asst. Development Executive - felicitated Pandian in the school premises by presenting a shawl and cash award. The team congratulated Pandian for his wonderful feat and wished him best of luck in his future career. The school management and the Principal joined Pandian in thanking IDF for the honours and expressed their support to IDF's humanitarian programmes. The new session in Deepak Bal Gurukul at Mansarovar, Jaipur started with brimming activities. Students geared up with enthusiasm to move ahead in life. IDF congratulates Mrs. Kamal Rathore, Principal of TIS for taking excellent initiatives in imparting excellent education to the underprivileged children. Students in DBG are smart enough to grasp lessons and improve with excellence. Every year two students from DBG will be taken into International School, depending upon their performance and other tests, Mrs. Rathore expressed with a smile. We have plans to include vocational training to students which will make them all round individual when they grow, said the Co-ordinator Mr. Unnikrishnan Nair. Dr. Narayan B. Iyer visited Deepak Bal Gurukul on 19th July and was surprised to listen to the folk numbers of the children. The discipline is maintained at top and the performance levels are awesome, said Dr. Narayan. Renu, Pooja, Hemlata and Vishnu thanked TIS and IDF for running such empowerment programmes which is really a great boon. 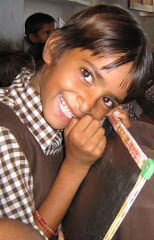 Deepak Bal Gurukul is an empowerment programme of Tagore International School and Indian Development Foundation. 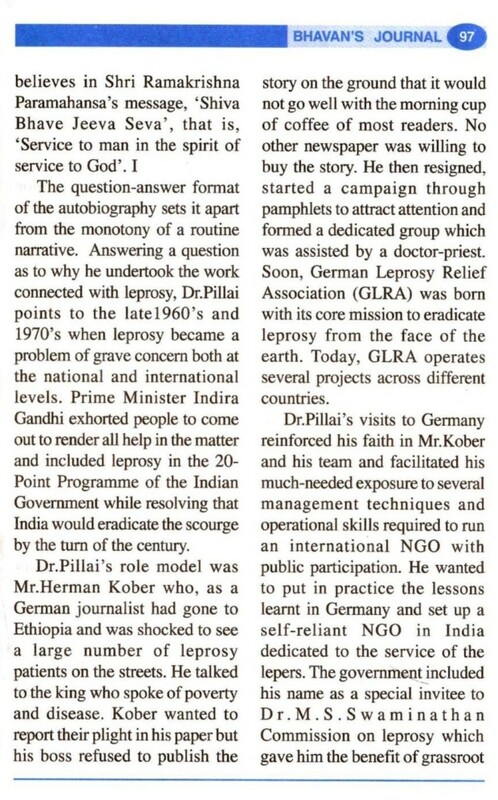 hi INDiA weekly from Chicago reports IDF launching `Hope on the Horizon'. Dr. Vandana Lulla, Director, Podar International School congratulated IDF team for the global launch of `Hope on the Horizon' at Chicago. It is really a great news that IDF work gets recognition from different corners of the world. It's our pleasure to participate in social responsibility programmes of IDF and bring smiles on many lives, said Dr. Vandana Lulla. I am glad that my students are participating in the garden beautification project in one of the leprosy hospitals in Mumbai and it will turn out to be a concrete social project of Podar, Dr. Vandana expressed with confidence. Dr. Narayan Iyer thanked Dr. Vandana Lulla and her team for actively participating in IDF's social programmes and supporting various humanitarian causes. 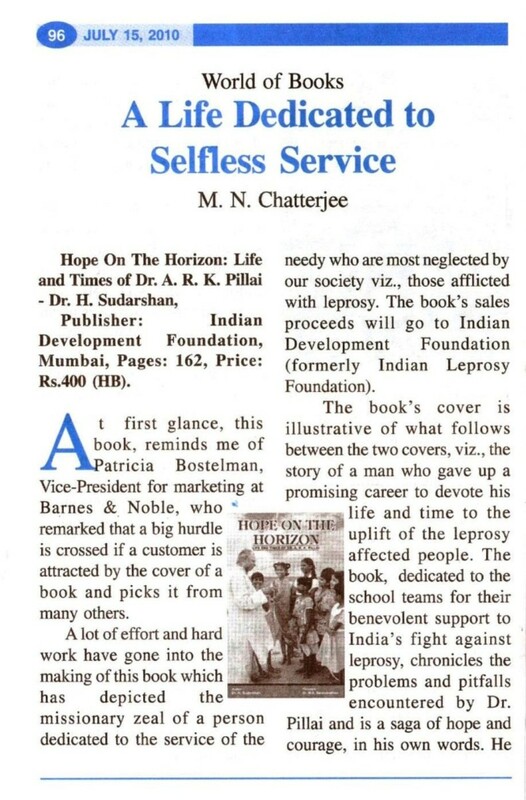 Complimenting Dr. Vandana Lulla, Dr. Narayan said, it was Dr. Vandana Lulla who launched `Hope on the Horizon' in Mumbai and her Midas-touch has now given the book a global hope ! IDF launches iDiscover 2010 during July 2010. Indian Development Foundation launches “iDiscover 2010“with an aim to inculcate scientific temper among young minds. Children of these days find time to visit malls/ shopping centres, but miss the opportunity to visit planetarium and update on the latest happening in the Space. The student from select schools will be shown “Awesome Universe”. Through iDiscover 2010, IDF provides an opportunity to the students to discover knowledge beyond the sky. Shree M.P.Bhuta Sion Sarvajanik School, Sion (W), Mumbai were the first batch to benefit from iDiscover 2010.